Do you remember the Drop-Dead Denim Event of last September? At the time, I established a corresponding Flickr Group where people could upload their denim crafts, and to my surprise, the Drop-Dead Flickr Group lives on… Isn’t that neat? I just love seeing what kind of jean-ious other people are creating and sharing, so I thought I’d take a moment to showcase some of the goodness that’s been uploaded since September. Let’s see what we got! Oh yes… well, you’ve seen Sherry’s stuff here before, but I just had to show off this notebook of hers as well. It’s just as cute as a button and so well-designed. 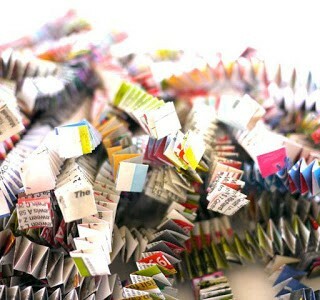 Sherry infuses such lightness and fun in her work. 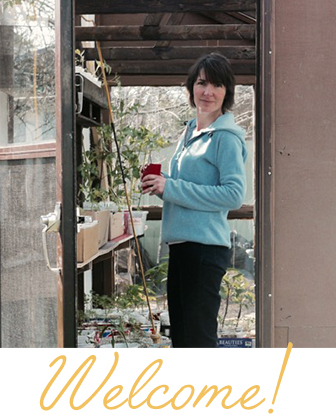 She writes about this sweet project over at Sherry’s Simple Blog. Check it out! 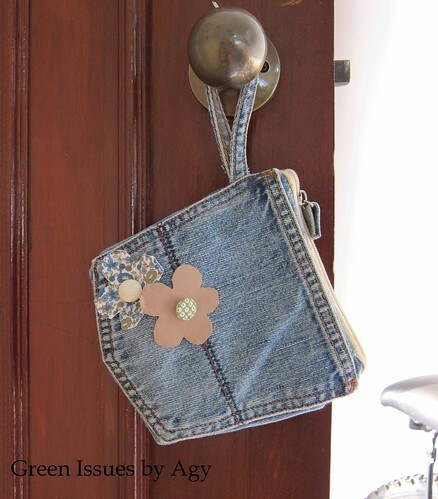 On her blog, Green Issues, Agy details how she went about making this super-cute back pocket wristlet from her husband’s jean pockets. 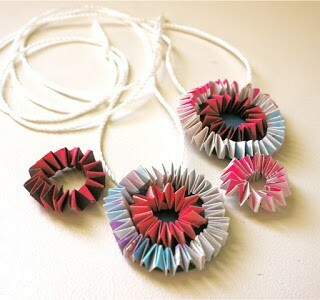 Wouldn’t it be fun to make one of these? 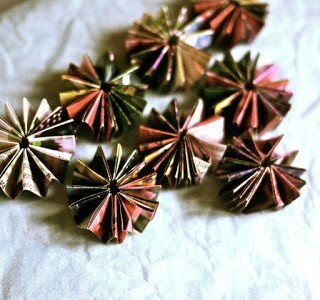 I get excited just thinking about the embellishment possibilities. Think felt or french knots or freezer-paper stenciling… Joys! Thank you for sharing Agy. 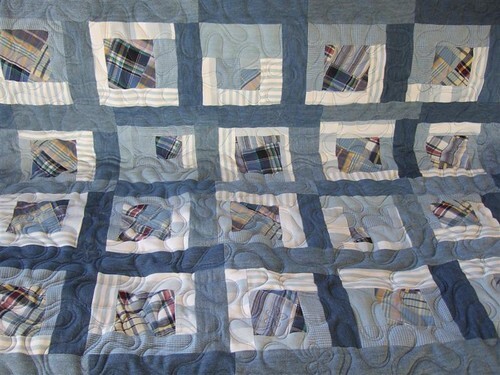 Marcia paired old denim shirts and dresses with some plaid shorts to make this great tone-on-tone quilt which she then machine-quilted using a lovely ribbon and daisy pattern. 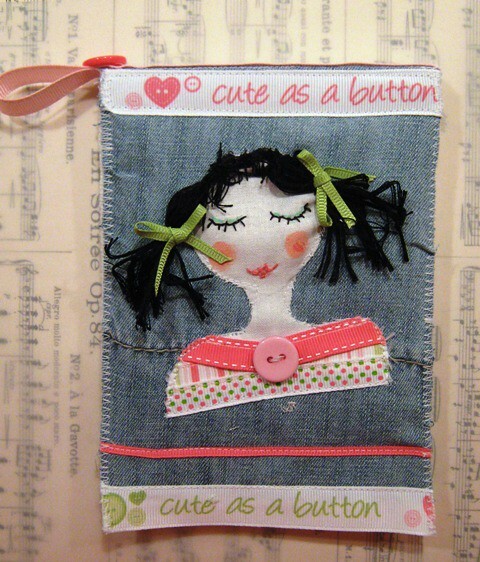 The full step-by-step photo tutorial can be found on her blog, Marcia’s Crafty Sewing and Quilting Blog. Well you have a happy day! Amazing creations from a great group! well thank you for uploading it Sherry. Great work you! Thanks for the lovely pictures and the links! It’s wonderful to see you have inspired so many others! I really like the possibilities of the wristlet – not sure I am up to something as detailed as that lovely purse. Its always nice to look through this flickr group!! Oh thanks for coming by Monika. 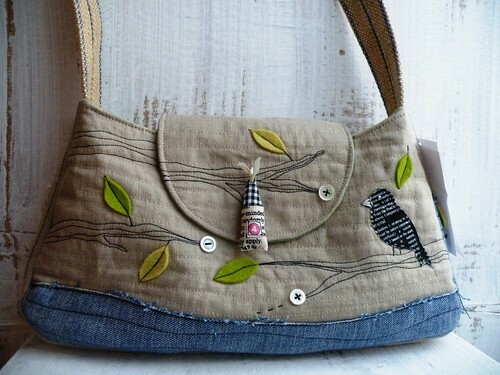 You do such lovely work, it was my pleasure to feature this great bag of yours! They are all so fun. I see I completely spaced out on adding my sewing command centre to the flickr group, so I've remedied that! Oh ya, definitely Krista! Great idea! Όλα είναι πάρα πολύ όμορφα. Μου άρεσε ιδιαίτερα το πρώτο με το κοριτσάκι. Καλό μήνα! Kisses from GREECE! No problem at all Agy. It's such a cute wristlet! You do so pretty things! LOOVE your blog. 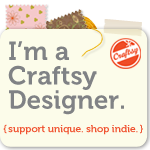 I'm a crochet animal, and I have a blog! Please check my swedish blog. You can copy the text and translate it in google translate, and then you understand the text. Or follow me on twitter! That I don't know… Hmm. It's a german shop isn't it? I will ask Monika and let you know when I get a response okay? So amazed at all the creativity…and sewing skills!